Create, distribute & measure all your content from a single platform to drive engagement, leads & revenue. Easily plan, publish, analyze and optimize content on all your digital channels (website, social, email, mobile). 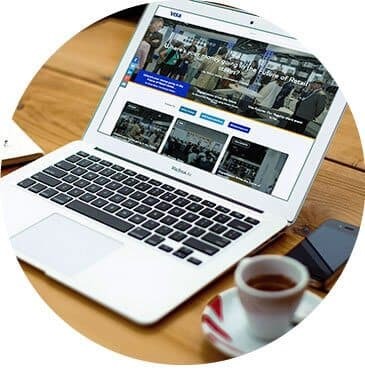 Drive traffic to your site by hosting full articles and photos legally licensed from Forbes, Variety and other publishers. The Canadian Press is NewsCred's referral partner, bringing you the only solution that combines tools to manage your content marketing from start to finish with the largest content library. Boost your publishing frequency without linking to other sites: Easily publish on your blogs, social channels and e-newsletters relevant articles, images and video from over 5,000 world-class credible sources, including CP in English and French, CNN, The Economist, Mayo Clinic, Huffington Post and more. 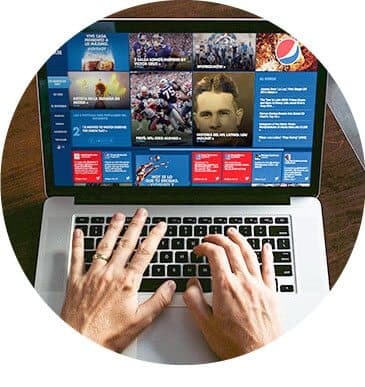 Pepsi partnered with NewsCred to launch Pepsi Pulse at Pepsi.com. Powered by NewsCred, Pepsi Pulse publishes a consistent cadence of relevant, on-brand content across music, sports and entertainment. 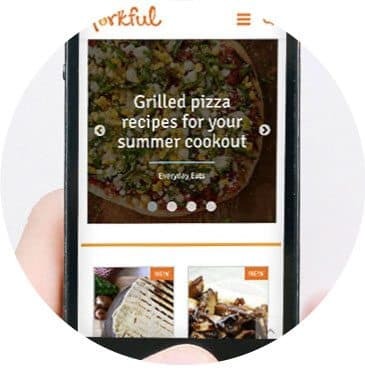 Forkful.com is powered by NewsCred’s Content Marketing Cloud and features licensed content around food inspiration and ideas for the whole family, such as party preparation, cooking tips and tricks and tasty recipes. 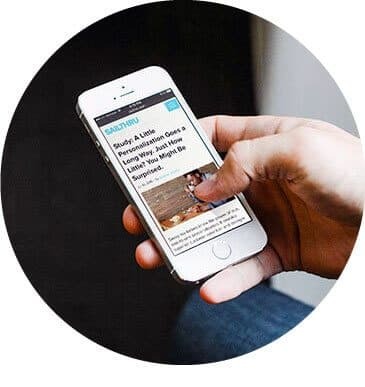 By utilizing the NewsCred publisher network, Sailthru created a thought leadership and inbound marketing portal to engage their audience — all while operating with a small team and limited budget. 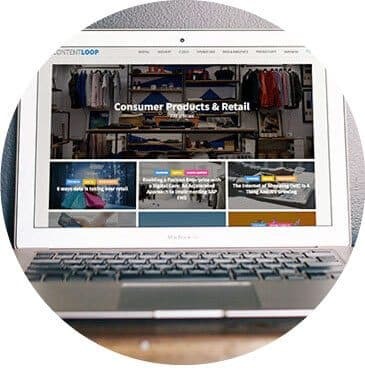 Content Loop is Capgemini’s digital hub, hosted by NewsCred using its responsive design template for quickly launching sites and blogs. NewsCred provides licensed articles from Fast Company, Forbes and others, allowing Capgemini to publish valuable content frequently at a fraction of the cost of producing it from scratch. Publishing 220 articles per month with an in-house team of just two people, Capgemini found licensed content cost five times less than original content, while driving equal value in page views and shares. To position themselves as a leader in the payments conversation and reach senior professionals in the industry, Visa Europe launched a microsite designed and hosted by NewsCred using its responsive template for quickly launching blogs. NewsCred provides licensed content from Venturebeat, The Economist and others, helping Visa’s microsite motivate readers to sign up for their newsletter and follow their social channels. Ready to increase leads and brand loyalty with NewsCred's content marketing services? 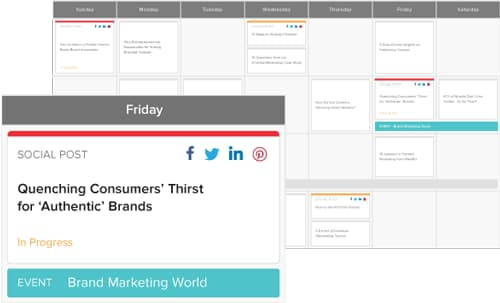 Save time: With a content calendar that automatically populates to show your content marketing tasks at a glance, including writing assignments and social posts, you avoid having to manually update spreadsheets and files. Easy to create content at scale and collaborate: With tools to manage content ideas and pitches, write and edit stories, and upload images and video, your local and global teams can collaborate effectively and efficiently. 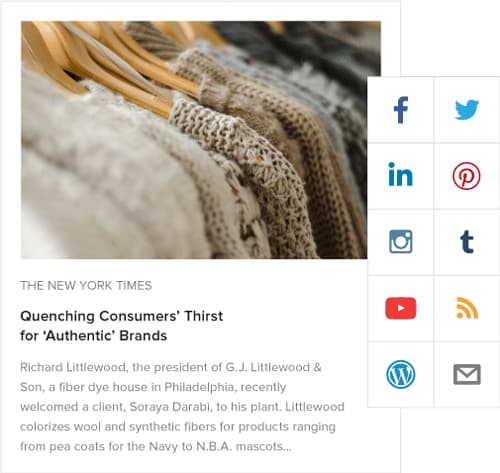 Quick, one-stop push to web, social and email: NewsCred connects with your digital channels so you can publish instantly or in the future in just a few clicks. Enforces quality control for your peace of mind: NewsCred's content marketing platform allows you to create workflows that reflect your approval process to ensure only brand-compliant content is published. Actionable insights to improve content performance: See unique readers, engaged time, social shares and other analytics to make informed decisions on what's working. 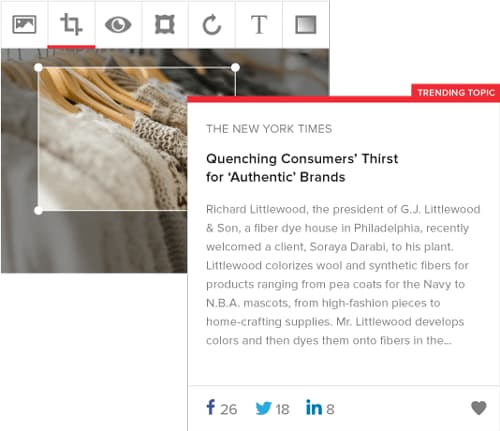 "Fusing cutting-edge software with world-class content, NewsCred helps brands tell incredible stories." "It is an incredible benefit to have someone who gets us." "With NewsCred...we've been able to speed up our connection with the market." A demo to see how NewsCred's content marketing platform and services can benefit you.